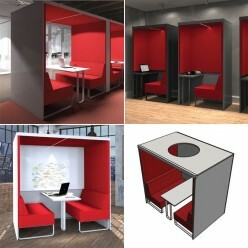 Acoustic booth with various interior options for 4 people. 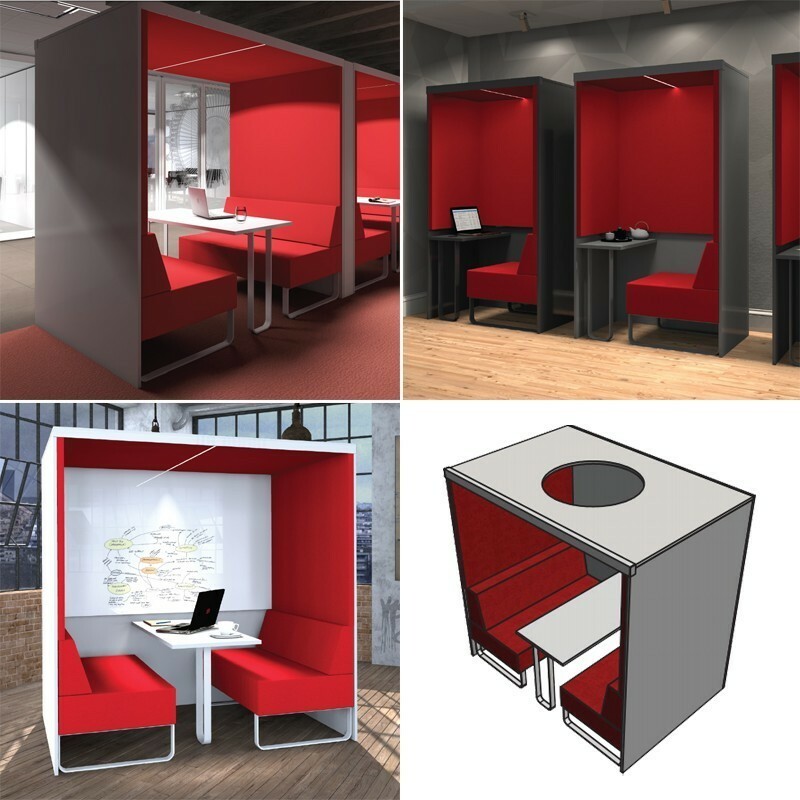 The Acoustic Cube range offers excellent acoustic dampening and provides a bright light source from either built in LED lighting strips or by selecting the Open option and allowing a hanging light to illuminate the Cube booth. Professionally made acoustic panels provide the best sound absorbing with elegant fabric finishes. Optional Open tops or Sides. Optional Unfurnished interior panel for mounting a TV.